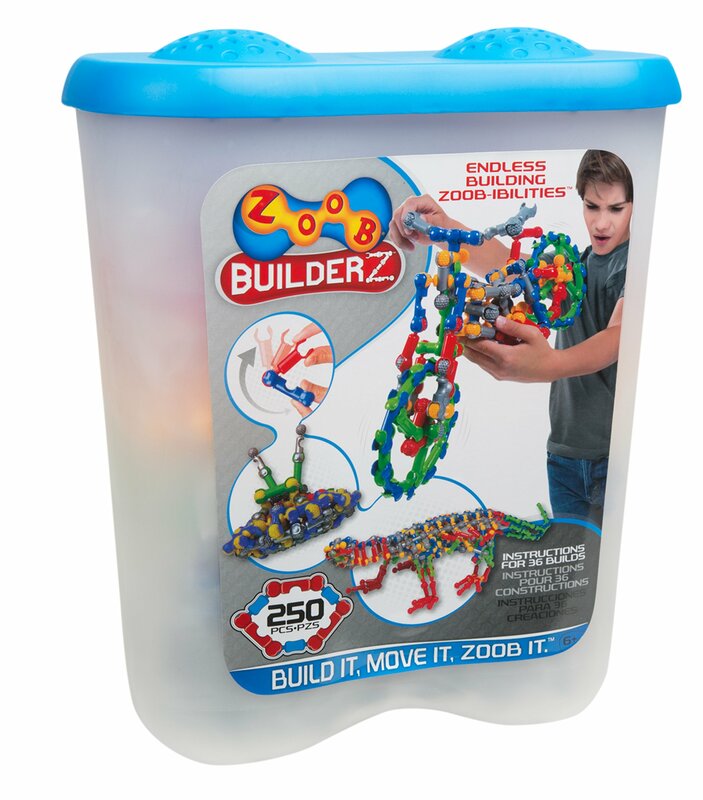 ZOOB is an award-winning building set with adifferenceâ€”the pieces move after you put them together, so you can play withyour creations, instead of just looking at them. Although we provideinstructions and suggestions for models to build, the best part of playingwith ZOOB is exploring, inventing, and discovering how you can build anddeciding what you want to create! ZOOB is a member of the ALEX Brands familyof products. From the Manufacturer ZOOB is an award-winning building set witha differenceâ€”the pieces move after you put them together, so you can play withyour creations, instead of just looking at them. Although we provideinstructions and suggestions for models to build, the best part of playingwith ZOOB is exploring, inventing, and discovering how you can build anddeciding what you want to create! ZOOB is a member of the ALEX Brands familyof products. Visit for more information on AlexBrands and our best-selling line of educational and entertaining products forkids.